"I was pleasantly surprised with how this coaster turned out. 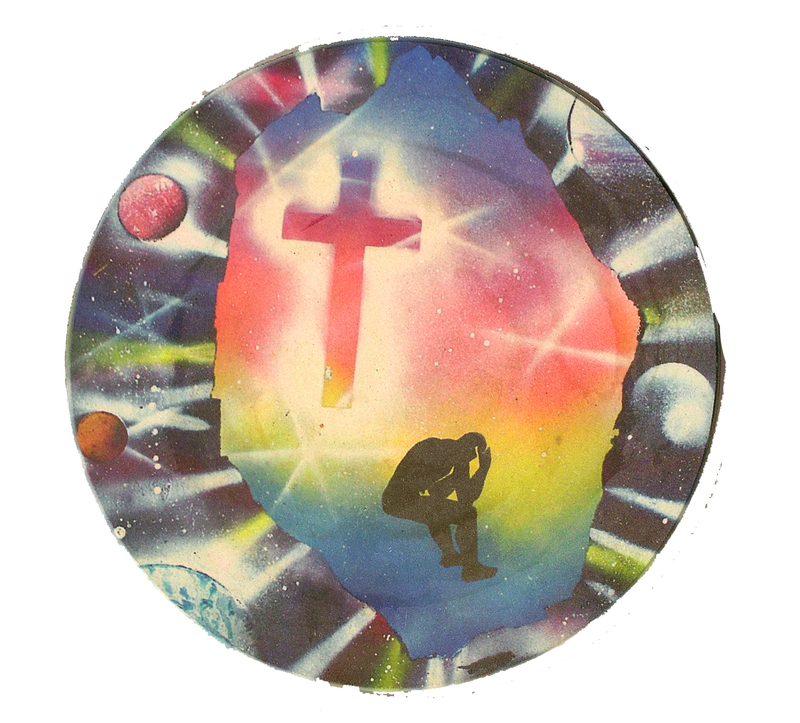 The original design is a spray paint painting I had painted. 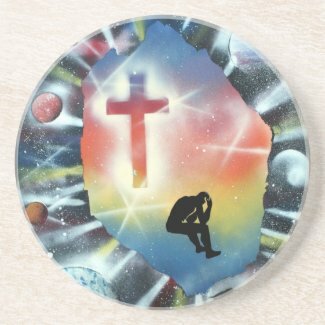 I then photographed it in and added it to products, including this coaster. For this review I scanned in the coaster as the camera wasn't catching the colors at all! the actual coaster and the scan of the coaster, the coaster itself has more of a flourescent orange for the orange and a greener blue under the figures feet. Neither the preview nor the actual coaster has a true black, but the blacks are darker on the coaster itself than the preview shows which is a good thing in this case. The gradients have no banding, they blend nicely just like in the original space painting. My one complaint with the coasters is how rings can show, you can see them in the scan. They are hard get off, so a darker design (or a non spill cup) might be better. I've scrubbed with a sponge and got some of them off, and the color was not affected at all! I should probably not put leaky cups on the coasters though....they were drinks with a high sugar content and I didn't wipe the coaster off. The coasters that have only had water on them don't do this. Overall I'm pleased with the way the printing came out, especially after the preview was so dull!" -Sue M.